Janmashtami, also known as Krishna Janmashtami, falls on September 2 this year. 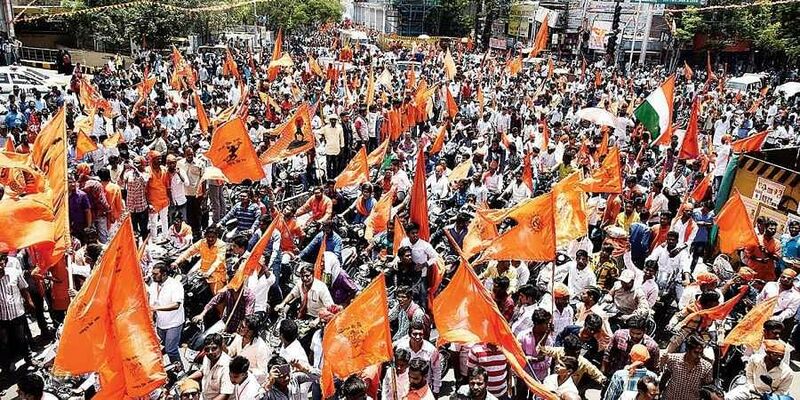 KOLKATA: The Vishwa Hindu Parishad (VHP) will hold the Janmashtami celebrations in West Bengal on a much larger scale compared to the previous years by taking out close to 1,000 processions across the state, a state leader said on Tuesday. The leaders of the right wing organisation said they wish to turn the occasion of Janmashtami, the annual Hindu festival to celebrate the birth of Lord Krishna, into a social festival to rejuvinate the Hindus of Bengal, much in the lines of the Ram Navmi celebrations here in recent years. "We are planning to hold large scale Janmashtami celebrations in Bengal this year, the way Ram Navmi has been celebrated here. VHP has 512 'Prakhanda' (blocks) in south Bengal. All these blocks will take out decorated processions and offer prayers to lord Krishna on occasion of Janmashtami," said Chandranath Das, assistant secretary of VHP's south Bengal unit. "Janmashtami is celebrated across the Hindu households in Bengal. But this time we have been asked by our central leadership to celebrate the occasion on a massive scale so that it becomes a social festival. There would be close to 1,000 Janmashtami processions across the state this year," Souresh Mukherjee, media in-charge of VHP's Bengal unit, told IANS. He said VHP's youth wing Bajrang Dal and women wing Durga Vahini will play active part in organising the processions, adding the exact number of rallies and their locations will be decided during the organisation's state committee meeting on July 28-29. He also invited all the parties in the state to take part in the processions and hoped the state government and administration will play a positive role in terms of giving permission to observe the elaborate celebration. State BJP leader Dilip Ghosh said his party will actively participate in the processions and warned against any attempts by the Bengal government to impede the celebrations. The state's ruling Trinamool Congress, however, termed the celebration as BJP's attempt to communalise the people of Bengal and said bringing in religion into politics will not benefit the saffron outfit in any way. "They took out swords during Ram Navmi and mace during Hanuman Jayanti. Now they are trying take out lord Krishna's flute on occasion of Janmashtami. But such practises will not be beneficial in Bengal politics," a Trinamool leader said.